12/18/2019 - Knoxville, TN. 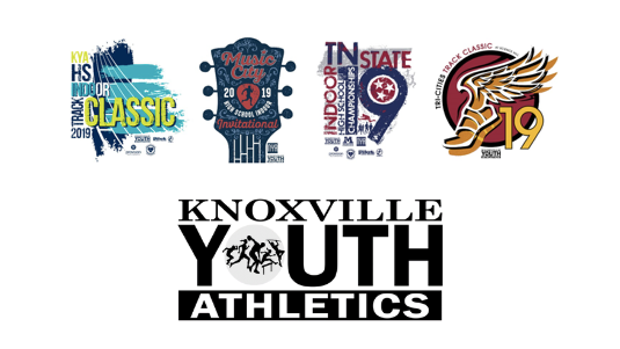 Knoxville Youth Athletics pushes to bring top-quality events to Tennessee and this year is no different. With over 10,000 athletes served every year, each event is important. In 2019, KYA brings this commitment once again with our 4 premier HS events over the course of the Indoor and Outdoor seasons. To begin the New Year, KYA will host the KYA HS Indoor Classic at ETSU in Johnson City, TN. This is a great event for athletes to kick-start their season and potentially qualify for the TN State HS Indoor Championship mentioned below. New Name - Same AWESOME Meet. For those who attended the formerly named Vanderbilt HS Indoor Invitational, you know how competitive this event is. We have added a couple freshman events, some additional heats for some events and are bringing back the impressive Pentathlons that had many US top 10 marks last year. 60 US Top 10 marks and a couple US #1's came out of last year's meet. The Tennessee State HS Indoor Championships has proven to be an exhilarating event that really highlights the finest athletes that TN has to offer. With team and individual titles up for grabs, and another chance to run on a blazing fast track, this meet is perfect to show not only how great of an indoor season you have had. It is also a great indication of what is to come for your team this coming outdoor season! Science Hill HS has proven to be a fantastic host to this regional meet with athletes from 4-5 states every year. If you want to run fast this season outdoors, this is the meet to come to. With jammin' music and live results and video, this meet has everything you need to run fast. With just a few weeks before your championship season, it's a great one to test your ability before focusing on titles.